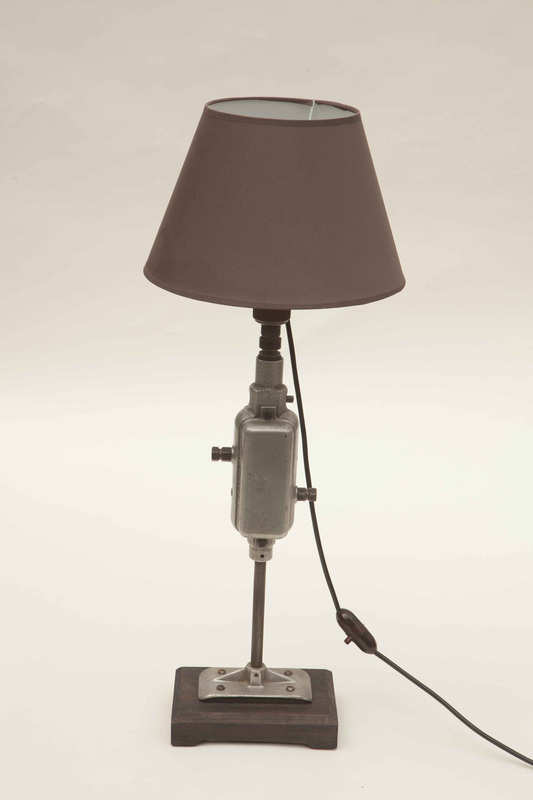 Product information "Industrial Style Lamp Grey"
This lovely industrial style lamp is handmade by our G&H antique expert Conrad in his workshop. 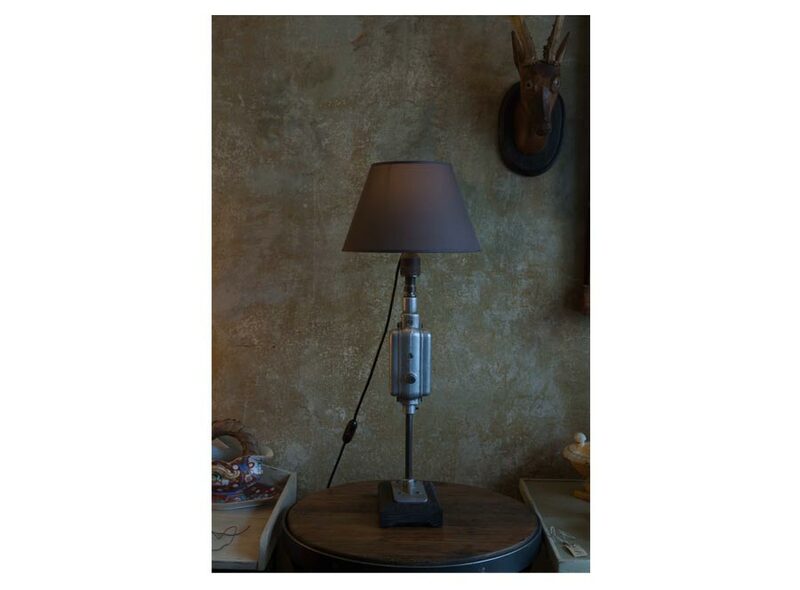 Apart from a long career spanning over 40 years dealing in antique buying and selling, Conrad is also a highly qualified restorer and upcycler. 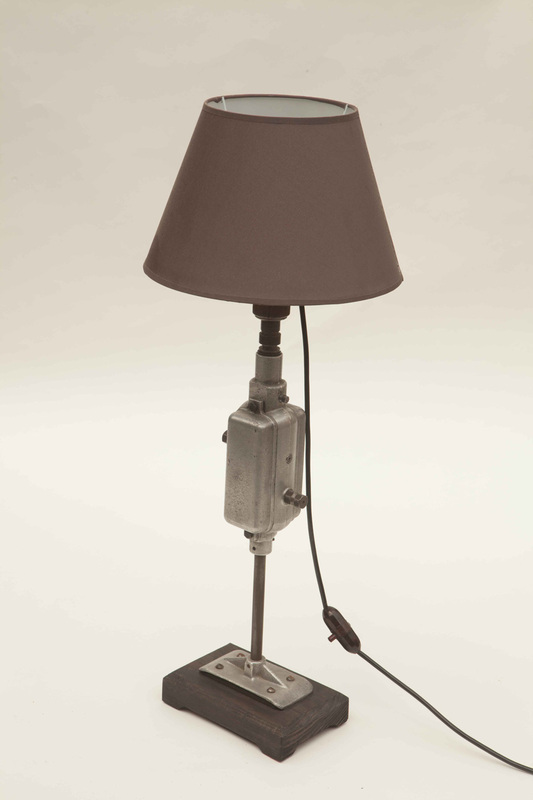 Over the years he has collected many an object that has caught his eye and which he sees as having a future in our contemporary world (admittingly then, nearly everything he sees!). 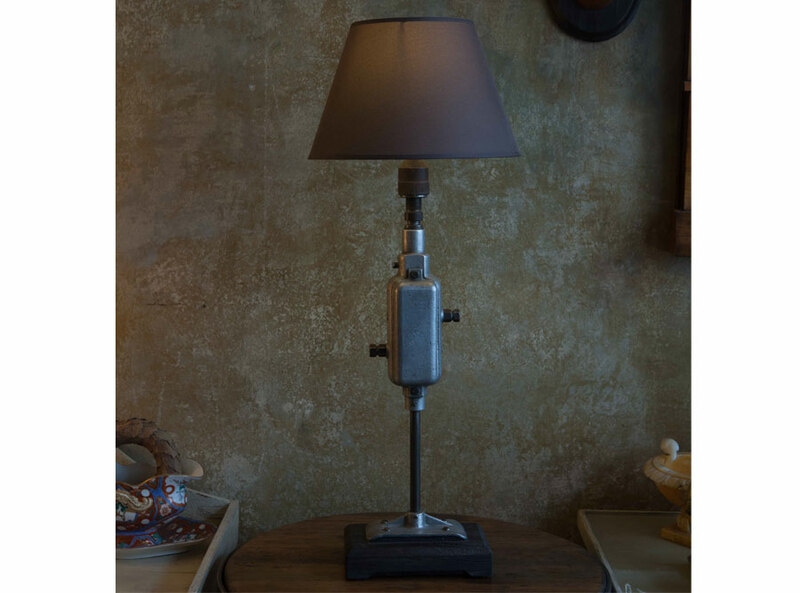 His well-loved antiques, restored, turned into something completely new - ish, or just how they have always been, his creations are nothing but exquisite. 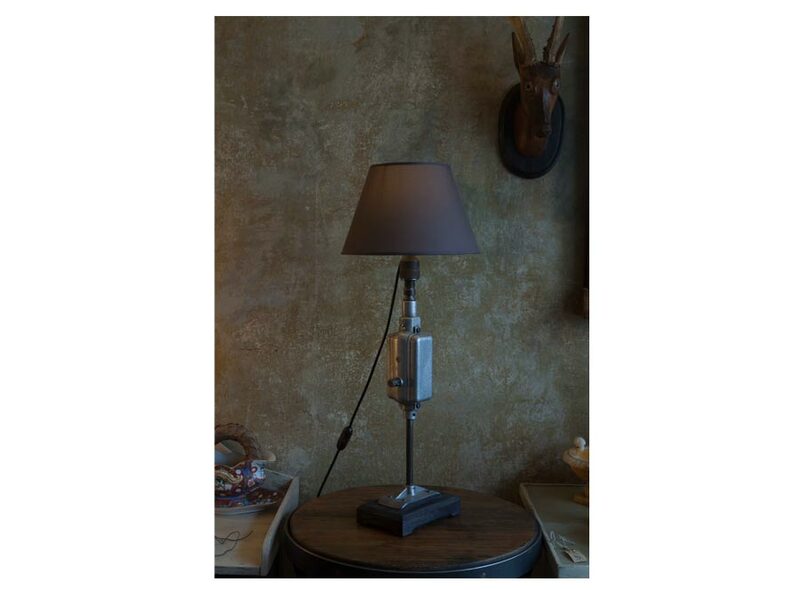 An absolute unique piece made from 1940-50s sewing maschine parts and put together lovingly with a beautiful medium grey lampshade which compliments the stand exactly. 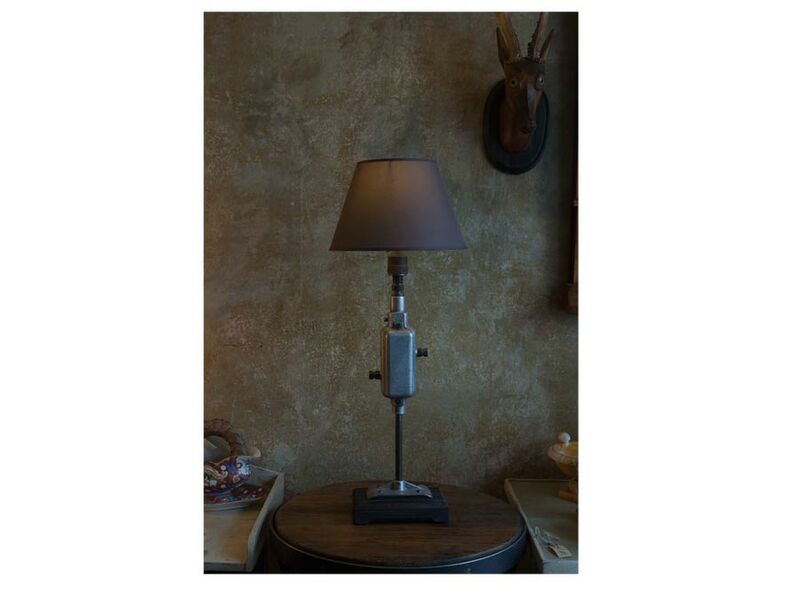 A wonderful and harmonious combination that is a highlight in any room. 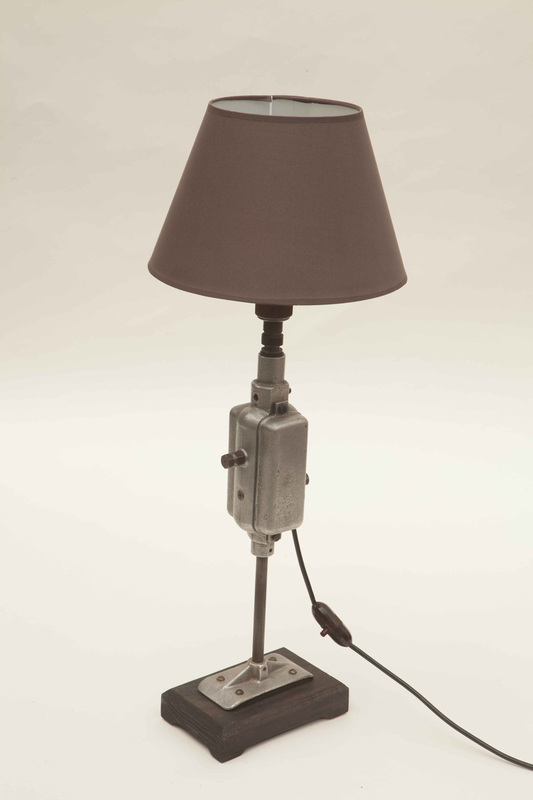 Related links to "Industrial Style Lamp Grey"
Customer evaluation for "Industrial Style Lamp Grey"